1894: Odense, Denmark. Thomas B. THRIGE, an apprentice of Thomas EDISON who started the General Electric Corp, founded his business to exploit the many possibilities of electricity as a driving force in industry, trades and agriculture. 1919: Paris, France. Engineers Marcel EVE and Paul NOISET found their company specialising in electrical rotating machines, motors and generators. 1926: In response to increasing volumes of export, Thomas B. Thrige establishes his first sales office abroad which is in London. 1934: Thomas B. Thrige company is transfered to the Thomas B. Thrige Foundation which is established to own and protect its commercial interests. 1964: Schneider and Westinghouse make an accord with EVE and NOISET and form Enco whose production is based at Nogent-sur-Seine, France. 1965: Thrige merges with its largest competitor Titan to become Thrige Titan with its head offices based in Odense, Denmark. 1967: The Swedish company ASEA buys a 40% share in Thrige Titan and a worldwide co-operation is established for production, sales and marketing. 1979: The Thomas B. Thrige Foundation takes over the ASEA share holding to maintain the independence of the Danish company Thrige Titan. 1982: Thrige Electric company is Odense is formed to handle the manufacture of DC motors within the Thrige Titan group. 1982: Thrige Electric acquires the Hugh J. Scott company in Great Britain which is rebaptised to Thrige Scott. 1982: Enco becomes a partner of Thrige Electric and is the exclusive distributor in France. 1984: Thrige Electric acquires the Contraves DC motor factory in Germany which is rebaptised to Thrige Electric. 1985: Thrige Electric acquires the Enco company in Nogent, France which is rebaptised to Thrige Enco. 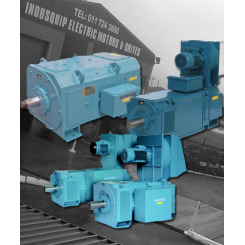 1992: Thrige Electric confides the manufacture of the LAK and Uniqore range of motors to Thrige Enco. 1997: Thrige Enco is rebaptised Thrige Electric. 1998: Thrige Electric acquires the ABB DC motor factory in France and move their production from Nogent to Persan also in France. 2002: The Thomas B. Thrige Foundation stops all commercial activities and Thrige Electric is sold to a private investor. 2004: Thrige Electric acquires the Persan branch of DMS, formerly ABB Service, the experts in preventive maintenance and repairs of all types of motors. 2005: Thrige Electric is renamed T-T Electric. Anew range of AC motors is launced to complement the existing DC range. 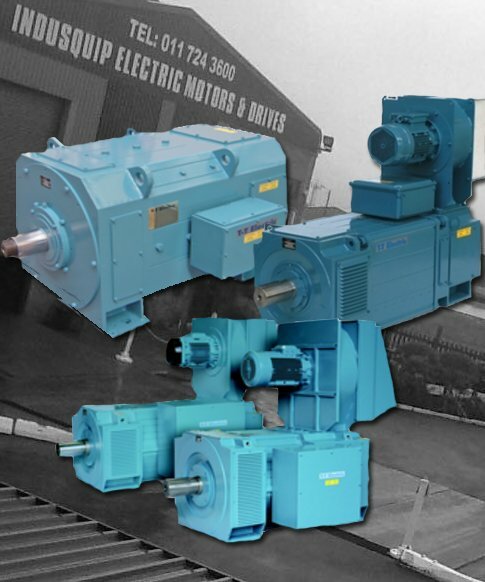 2007: T-T Electric launches a new range of Mill Duty DC motors. 2008: In order to meet the increasing demands and needs of the customer, T-T Electric continues the expansion of its product range with the launch of the new AMP AC square motor collection.